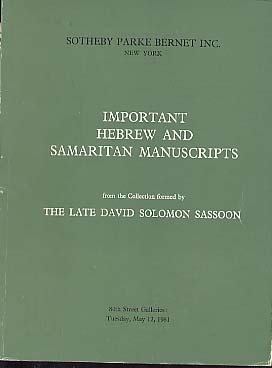 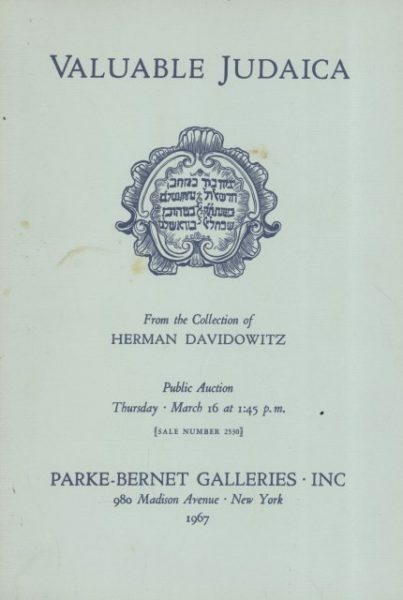 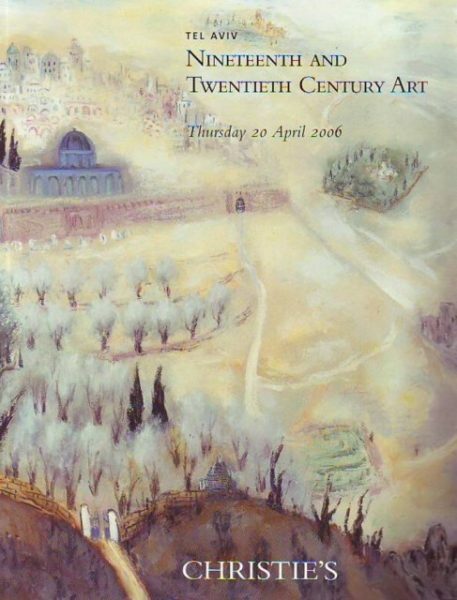 1981 Sotheby Parke Bernet, Important Hebrew and Samaritan Manuscripts from the Collection formed by The Late David Solomon Sassoon, New York, 5/12/81. 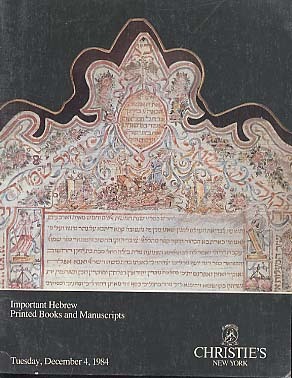 1984 Christie's Important Hebrew Printed Books and Manuscripts, New York, 12/4/84. 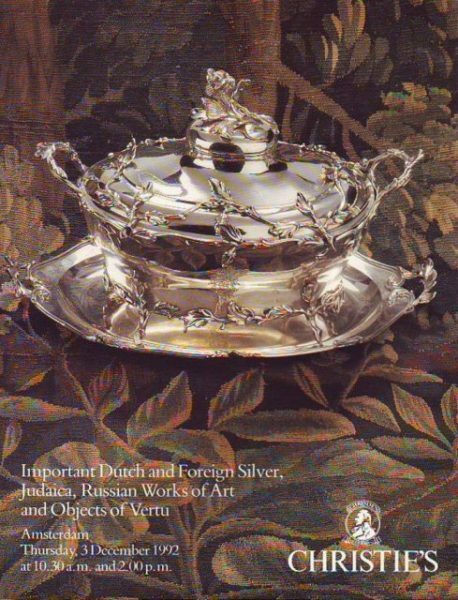 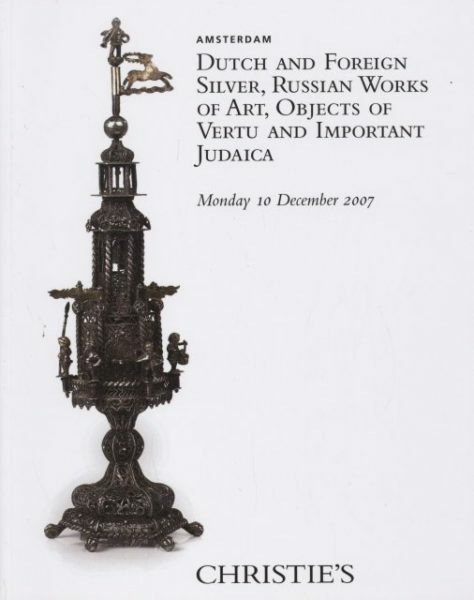 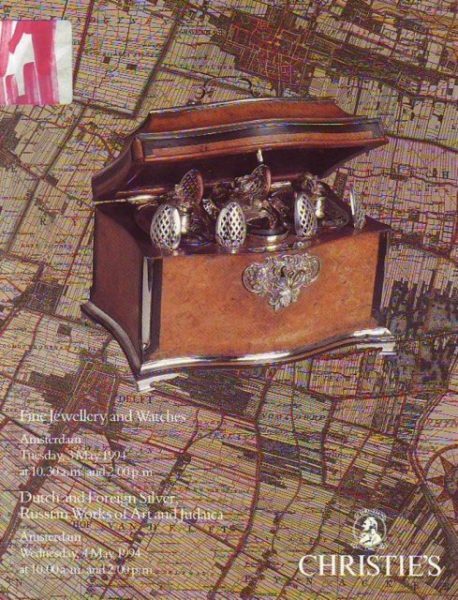 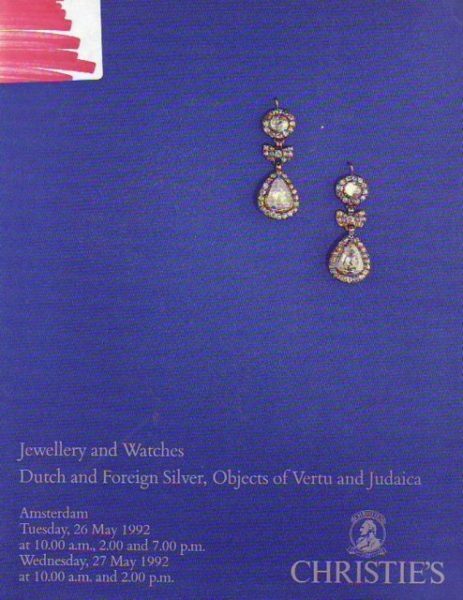 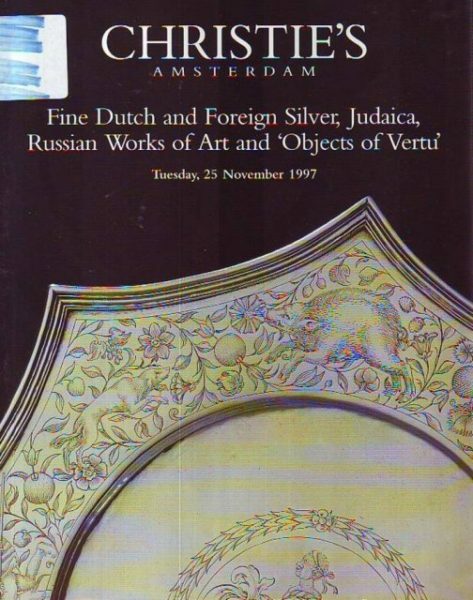 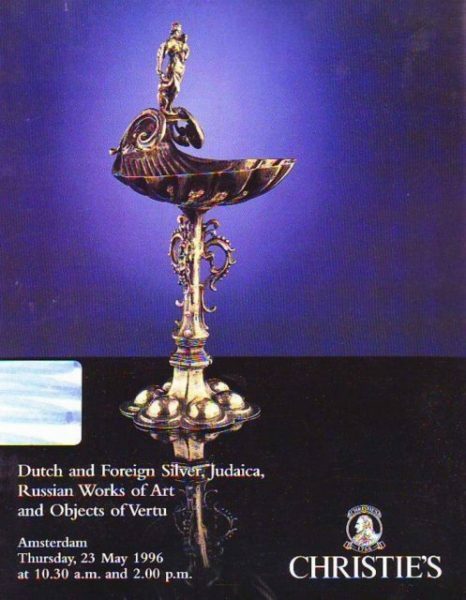 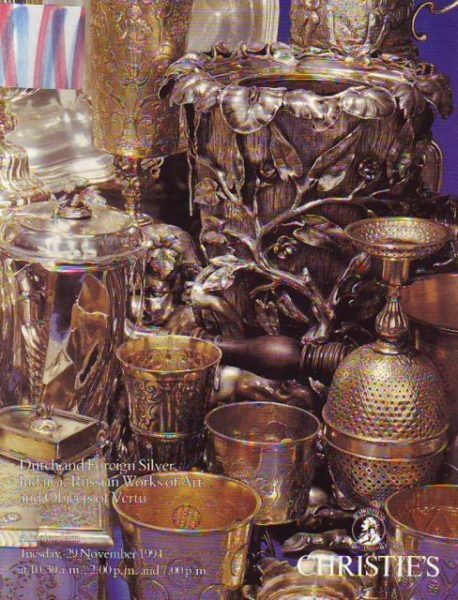 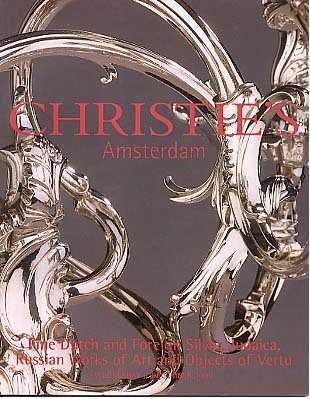 2000 Christie's Fine Dutch and Foreign Silver, Judaica,Russian Works of Art and Objects of Vertu, Amsterdam, 12/6/00.